All new 14-day Starter Kit! By popular demand, we have updated the 14-Day Starter Kit to include a variety of ITG crunchy foods, both Limited and Non-Limited! 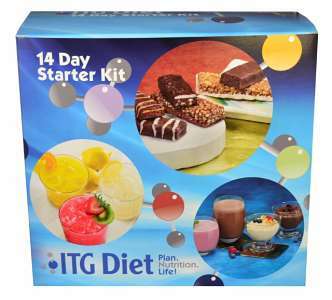 The ITG 14-Day Starter Kit begins the coaching process for the ITG Diet Plan with your coach. No membership fees, weekly charges, or hidden costs. Decide which items you love in the Kit to help you in your weight loss journey! With a selection of over 85 foods, this is a great way to try several foods in the first two weeks of your weight loss journey.